Singer/Songwriter Ruth Purves Smith and the 581 will appear at Red Deer's Matchbox Theatre on Friday, June 18. Ruth, of Three Hills, will perform at this final release show of her debut album entitled "Out In The Storm". Also featured on the big screen is Ruth's new video "Godzilla". Local freelance writer Donald Teplyske writes, "Godzilla is a standout song with an undefined darkness haunting the song, and it is here that Purves Smith finds her strongest voice." 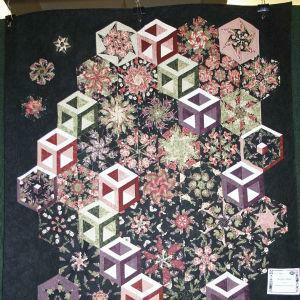 Jo Al Styles Fabric Store held its annual quilt show Friday and Saturday (June 4-5) inside the spacious Linden Alliance Church. The fabric store chose to hold the event, which started out over 20 years ago, as a customer appreciation tea and as a way to showcase the talents of the store's customers. To raise funds for the Acme Alumni Association, Linden is planning to host a human foosball tournament during Linden's Sports Day on June 12. Eight teams of six people (age of 13 years and older) are required with each team guaranteed at least two games.